This Envestio review is 100% unbiased and based on my own experiences only. Envestio works in the field of providing bridge financing/equity replacement loans to the owners of investment projects. At the moment, main industries are real estate development, energy production, urban mining, and production of equipment/hardware for crypto-mining. Envestio started as a private investment fund in 2014 and decided to go public in the end of 2017. A total of 22 projects have been successfully completed. 5 active projects are currently available on the website. At the time of writing 736 active investors have raised 1.246.273 EUR on the platform. Good question! Investment rule #1 is “Never loose your money”. Scammers usually shy away from personal contact. 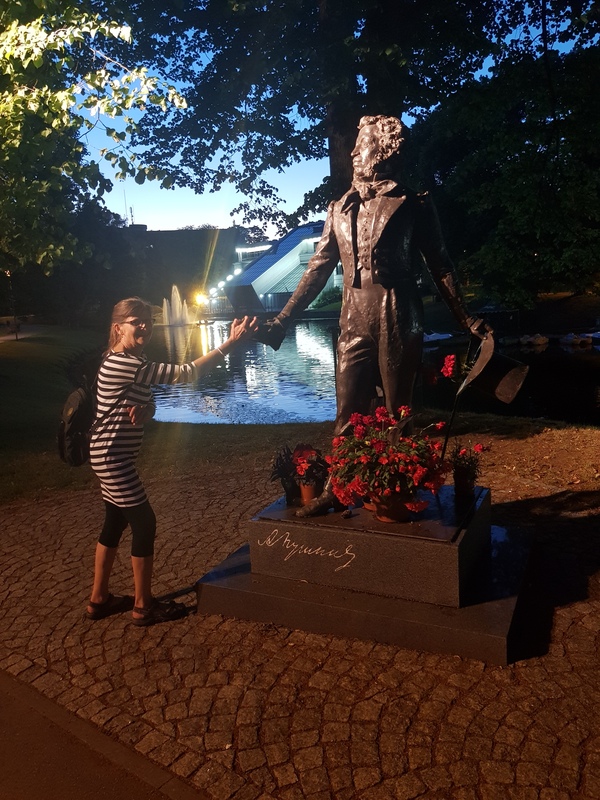 So what better way to find out, than flying to Riga and meeting them in person? Let’s see if the people fits the pictures and if the information on the website can be trusted. Spoiler alert: Envestio is not a scam. They are a legit company trying their best to build a good investment platform with premium returns. 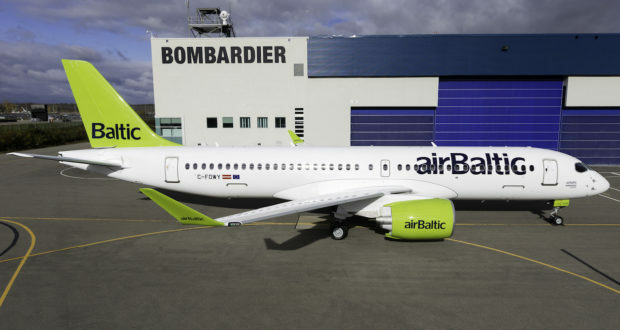 On June 28th I boarded a Bombardier CS300 and traveled from Denmark to Riga, Latvia to meet the Envestio team. I invited my mom to come along because she also invest in different projects and platforms. Short trips like this is a good opportunity to spend some quality time with your loved ones. As you can see from my savings rate, I don’t spend much money on luxury. 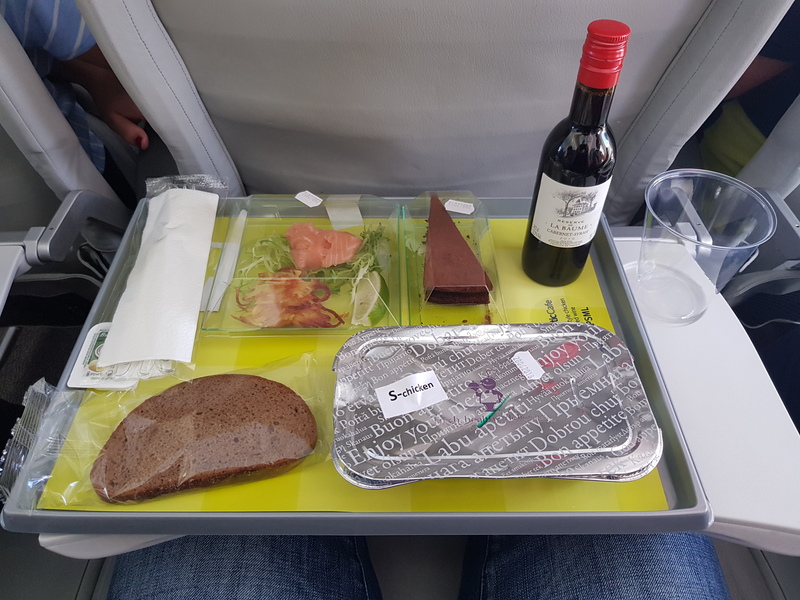 However, when I travel I like to spoil myself a bit with a nice meal on the plane. It usually costs 11-16€ per meal, but I enjoy it so much, it’s worth every cent to me. Even though we are saving up for financial freedom one has to enjoy the present and not only focus on the future. Appetizer: Smoked salmon with lime, potato pancake and salat. Main course: Oven roasted chicken breast with fried potatoes, bread, mushrooms, cherry tomatoes and sweet peas. Dessert: Dark chocolate cake. When we arrived in Riga I opened my Taxify app, which is the Baltic version of Uber. I found and used this app when I was visiting Bondora’s office in Tallinn in January 2018. Taxify is a great and cheap way to get around. A few minutes after plotting our pickup and final destination into the app the driver arrived. The 30 minute from the airport to the hotel ended up costing us 8,50€. In Denmark, it would cost me the same in starting fees, just to enter the taxi. Monika Centrum Hotel was going to be our home for the next 2 days. 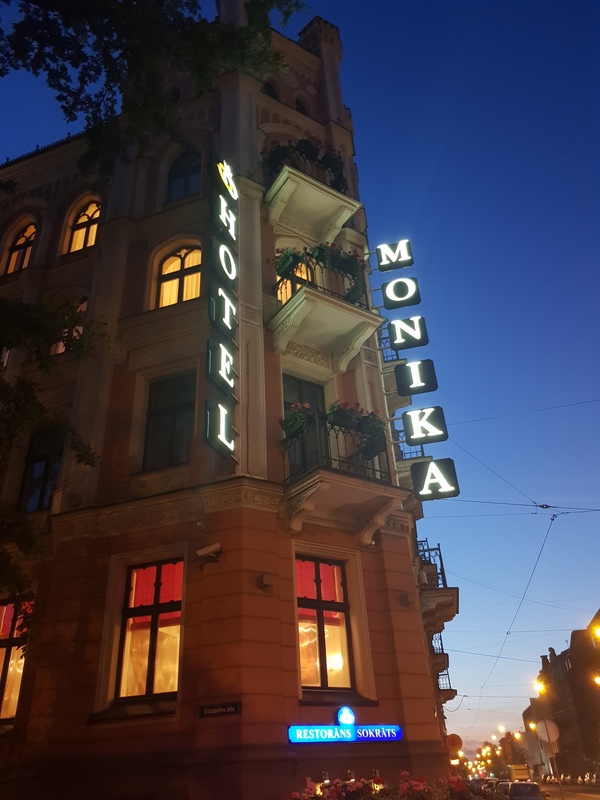 It’s a nice hotel within walking distance to the “old town” in central Riga. Evgeniy (I call him Eugene), the COO of Envestio, was so kind to welcome us at the hotel, just to say hi and to tell us about the schedule for the next day. We would meet at 10:00 the next morning in their office about 1 km down the road. 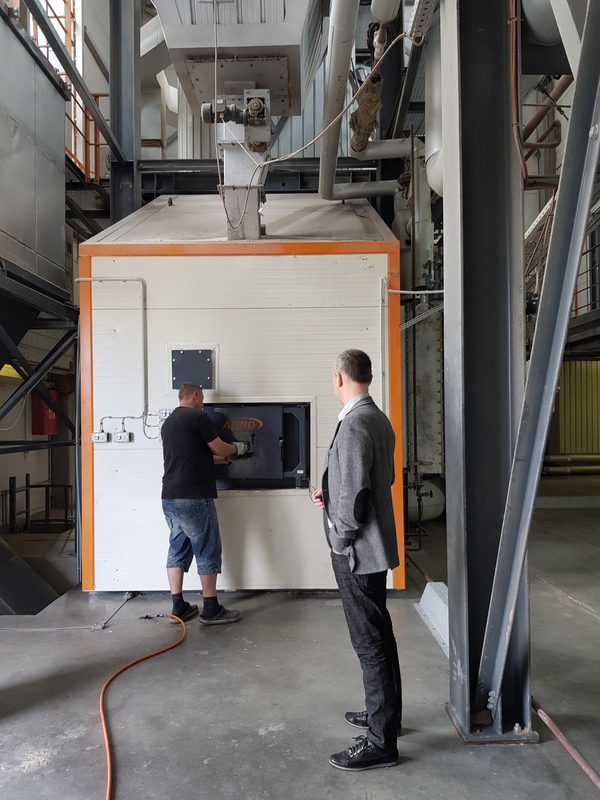 After a small office tour, we would go on a day trip to see 3 finished crypto currency mining projects and 3 actual real estate and development projects which are already available for investment on the platform. When everything was clear, we said good-bye for now and parted. Now we were ready to explore Riga on our own and get some dinner. When I’m traveling I’m always using TripAdvisor to find good restaurants. I’m searching for restaurants nearby and filter the results by highest rating. I’ve never been disappointed with the experiences, all the restaurants have been absolutely incredible. This was no different! The highest rated (and probably the most expensive) restaurant is called Vincents. We didn’t go for this one though. From experience, it’s almost impossible to get a table on the highest rated venue with a few hours notice. The second highest rated restaurant in the area is Milda. I called them and I was able to reserve a table, so we decided to try it out. We ordered a 3 course menu with wine and it was a very pleasant experience. 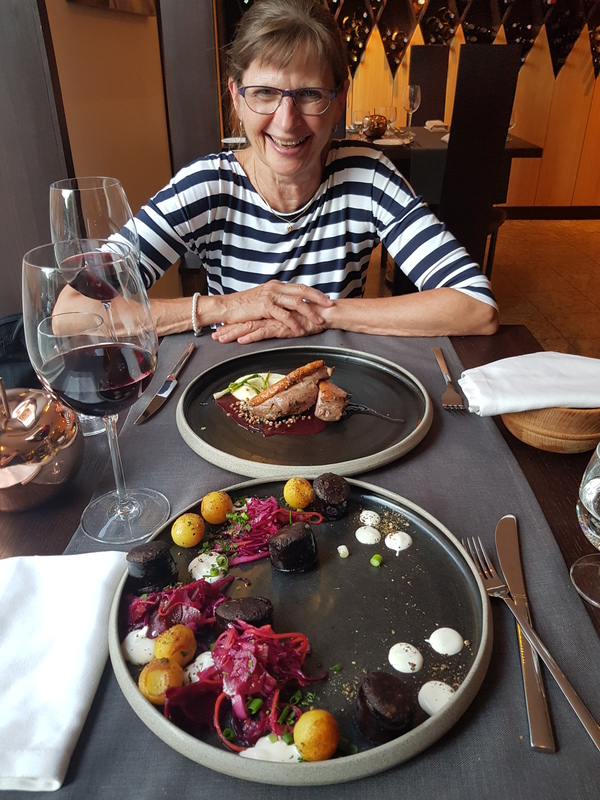 If you enjoy finer dining, I would definitely recommend traveling to the Baltic countries. The food is delicious and the prices are very affordable. 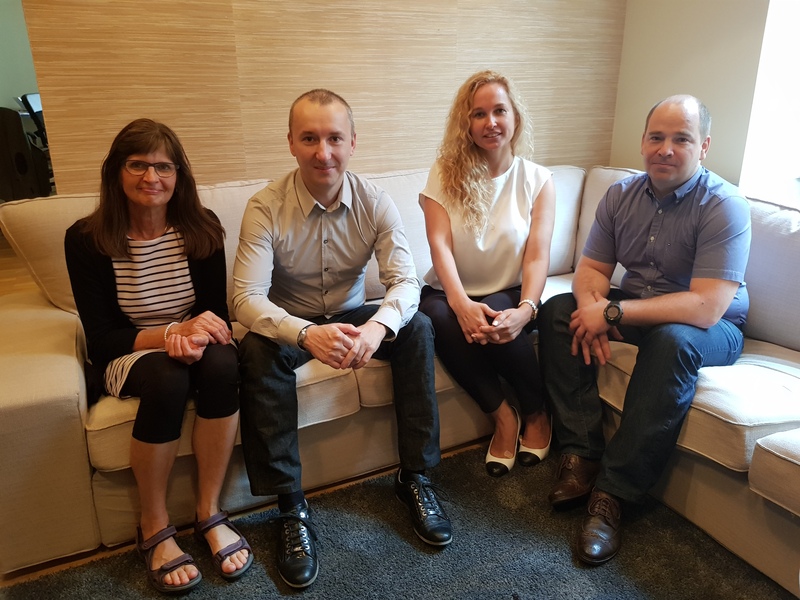 The next morning at 10:00 AM we met the Envestio team in their office in Riga. It’s a really nice office space that they acquired 3-4 months ago. 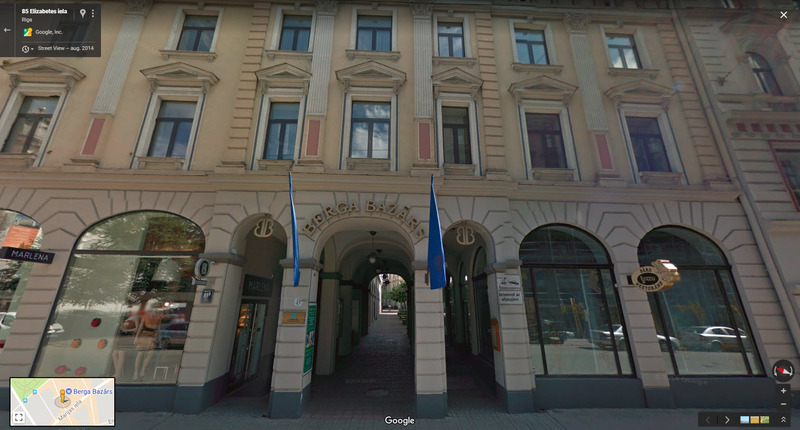 Envestio’s headquarter is based just outside Tallinn in Estonia but they have an office in Riga as well on Elizabetes eila 85. We spent about half an hour talking and asking questions. Most of my questions had already been addressed in the endless stream of emails I had sent to Eugene in the weeks prior to the meeting. But it was nice to meet them in person and have a little chit-chat. The first stop on our day trip was to see some of the finished crypto currency mining projects. 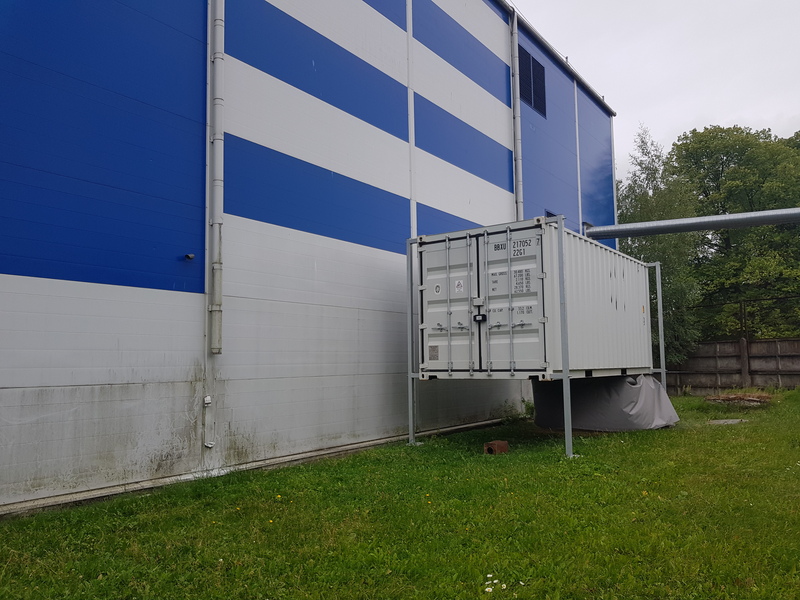 The mining container in the picture below hosts hardware, assembled and sold to the client “Baltreit” SIA. In the list of finished projects these are labeled “Mobile Mining Unit A03”, Mobile Mining Unit A04”, and “Mobile Mining Unit A05”. Please remember, that Envestio provides funding to companies which are looking for capital to expand their current business. Envestio is not involved in any crypto currency mining activities itself. The mining equipment is directly attached to a power plant for cheap electricity. You can read a lot more about the current projects on the Envestio webpage. Click on Projects in the top menu. The next stop on our day trip was to see the “Power Plant – Development” project. The power plant was originally built in 2012. Envestio co-funded an expansion in the first half of 2015 (April-May), where the second phase went into operation. Now, in 2018, it’s ready for further development. 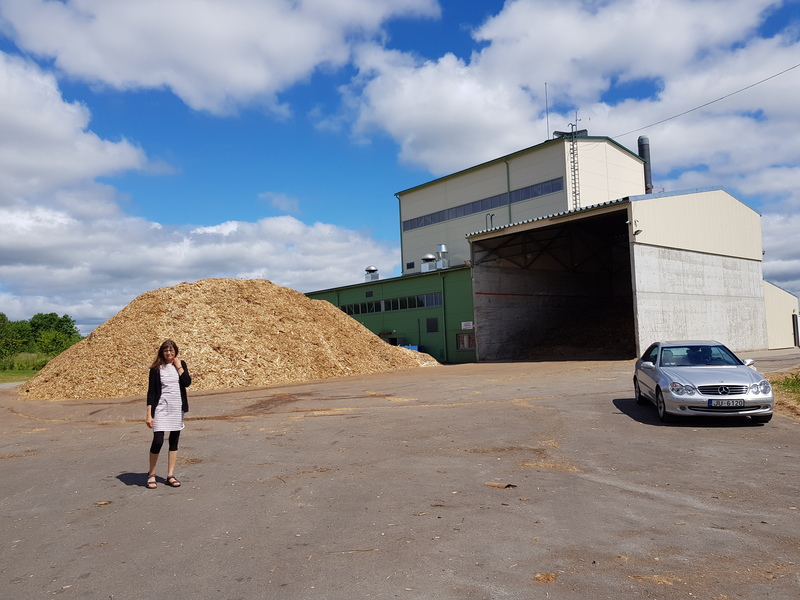 The power plant is an effective, environmental-friendly facility that uses modern equipment and renewable energy source (wood chips) for production of thermal and electric power. The power plant provides hot water and electricity to the nearby municipality. Especially during the summer, the power plant produces excess heat and energy that is not currently monetized. 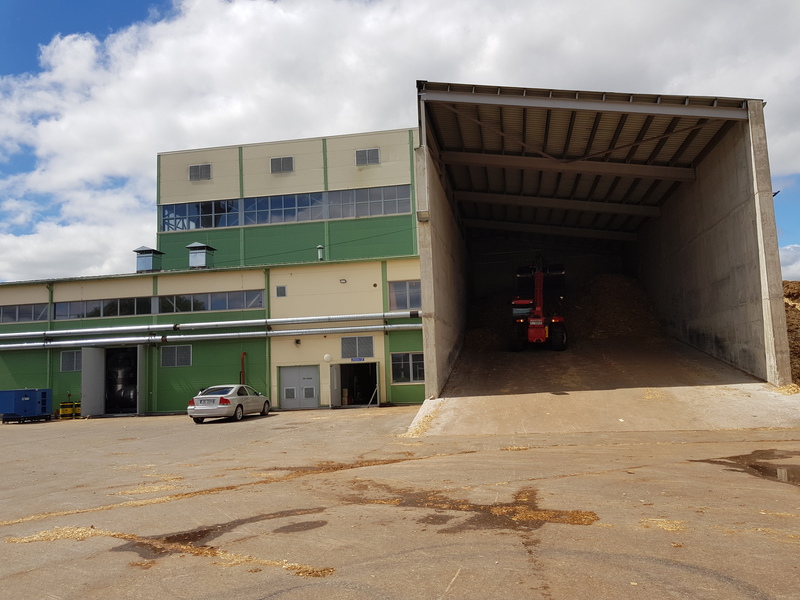 This is why they want to build a new grain drying facility that could make good use of the excess heat. The money raised by Envestio participants will fund this purpose. A big pile of wood chips in front of the power plant. This is the second section. It looks almost identical to the first section. The wood chips are burning within the walls of this orange framed oven. 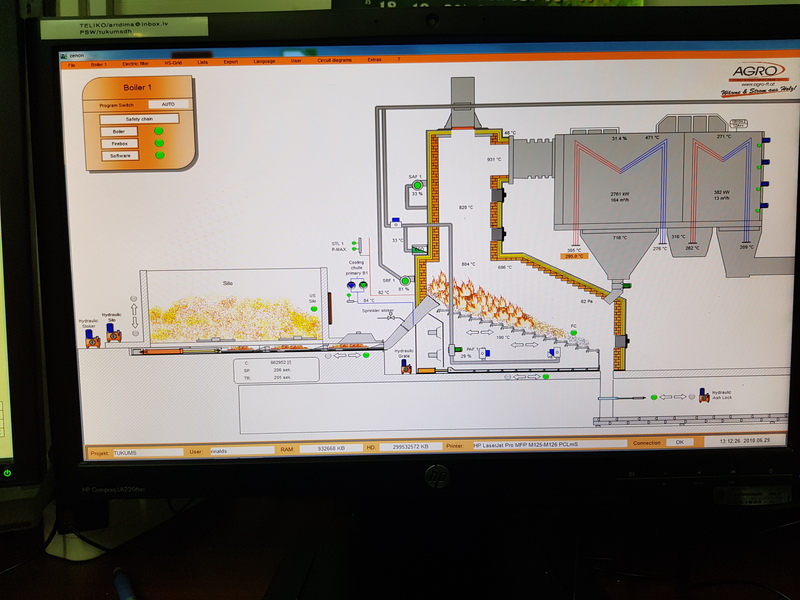 A live animated illustration of the combustion process is shown on nearby computer screens. Investors get a nice 18% interest rate for investing into this 10 month project. The first 3 interest repayments have already been returned to the investors. The second stop was to see the location of the Modern “Slowfood” Street Market, which is now available for investment on the platform. 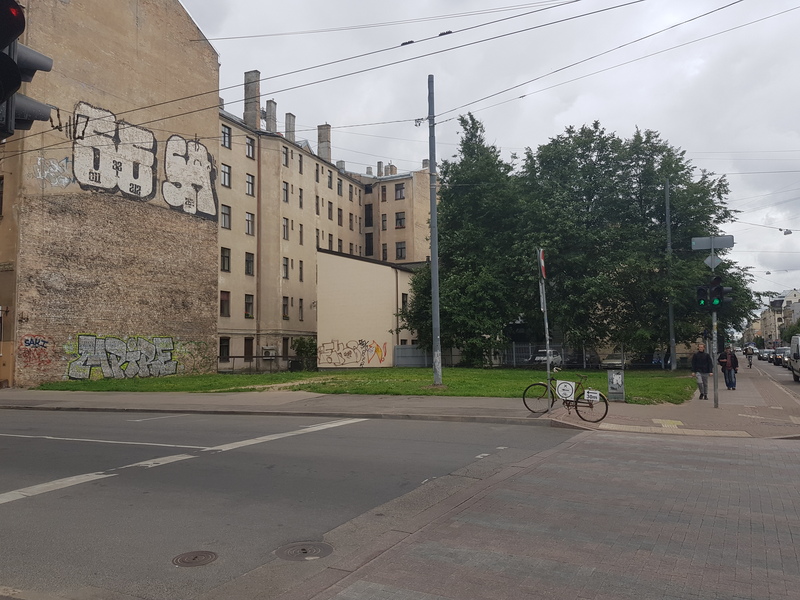 Latvian company SIA “Zelta Jumts” owns a land plot with a total area of 815 m2 in the very centre of Riga at the corner of Bruninieku and Kr. Barona Streets, surrounded by historical buildings and well-developed infrastructure. They have received a construction permit to build a number of 1-2 story wood pavilions with total useful area of 300 m2. The company is looking forward to attract 350,000 EUR through bridge-financing from Envestio participants. Valuation of the land plot without construction is 870,000 EUR. Investors get 17% interest rate for investing into this 9 month project. The first interest repayment was already returned to the investors. Current state – Construction is scheduled to start in October. Architectural drawing – The tree will be preserved and is a key design element. Architectural drawing – Expected final result. I look very much forward to eating here next time I visit Riga. 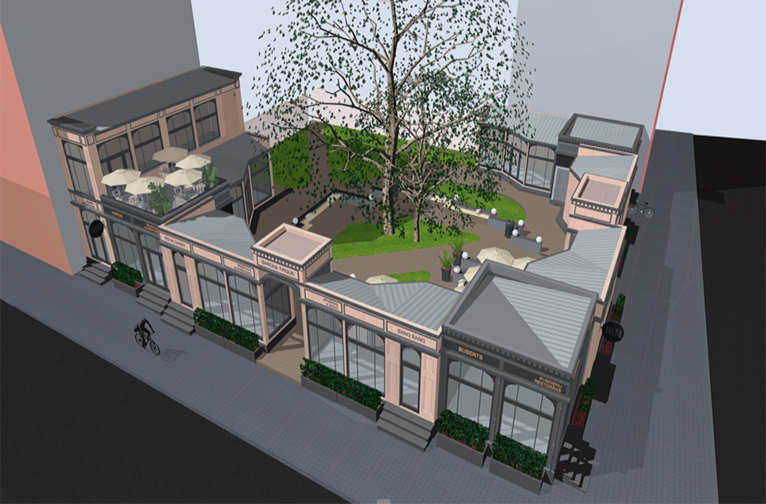 The third project is located just on the opposite corner of the Slowfood Street Market project described above. 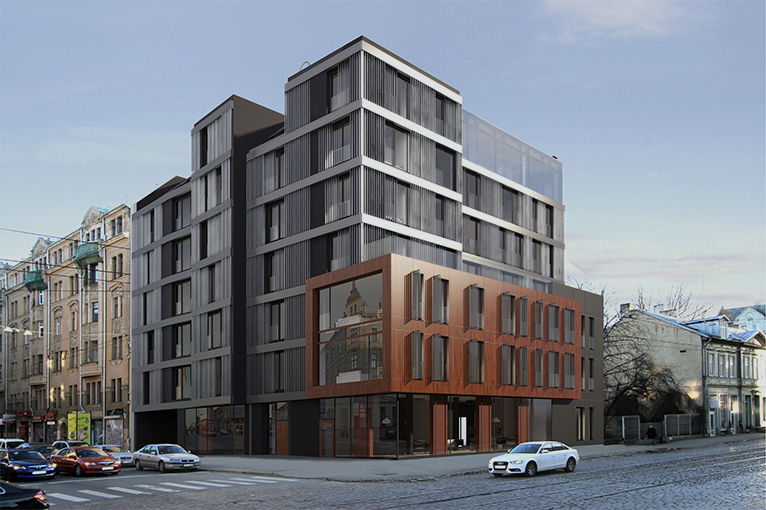 SIA Baltic Real Estate Holding, an experienced Latvian real estate developer, is launching the construction process of 2500 m2 apartment building at Krisjana Barona Street 72, Riga and is planning to attract medium-term mezzanine financing for 24 months. Barona 72 (the official name of the project) will be a modern 22 apartment property, located on the cross of two historical streets in the central part of Riga: Krisjana Barona Street, which is a pedestrian devoted vibrant boulevard with lots of restaurants, cafes, and small shops, and Bruninieku Street – quiet and cosy avenue which is perfect for a slow walk among Riga art nouveau heritage. Investors get 18% interest rate for investing into this 24 month project. The first interest repayment is scheduled for 15.07.2018. My first impressions of Envestio and the team are very positive. They are kind, helpful, professional people with a great attitude. Even though that platform is quite new, Envestio’s private investment fund has operated since 2014, so it functioned for 3,5 years before going public. The amount of completed projects shows they know what they’re doing. The key distinction from many other Crowdinvesting and P2P platforms is that they are financing real business ventures that brings tangible added value to the economy, instead of simply refinancing personal loans. I really like that. On top of that, the interest rates offered are very generous. Currently from 17-22% per year. And because the platform is young, it’s actually possible to get a share in the projects. Other popular platforms have too many investors and not enough projects. Overall, I’m very positive and truly excited to see what the future holds for Envestio. I will make a part 2 of this Envestio review at a later stage. The second part will be about the platform itself and I will show you how everything works in more detail. If you would like a notification when the post is published, make sure you’re subscribed to the blog. This was my first trip to Latvia. It’s a really nice country! 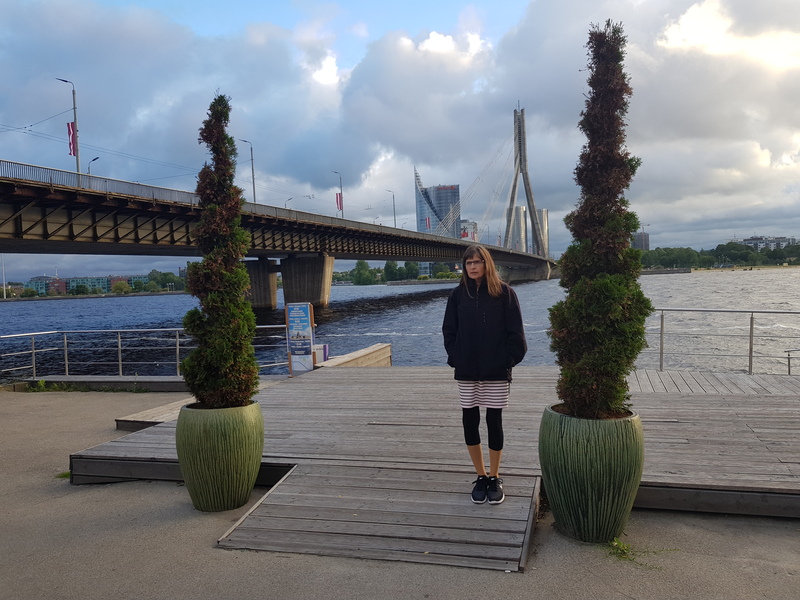 Have you been in Riga? If not, I will finish this review with a small photo collage for you to enjoy. Canal boat tours are available. Unfortunately, we didn’t have time to try it. Restaurants and café’s have heated terraces. It’s very cozy in the evening. 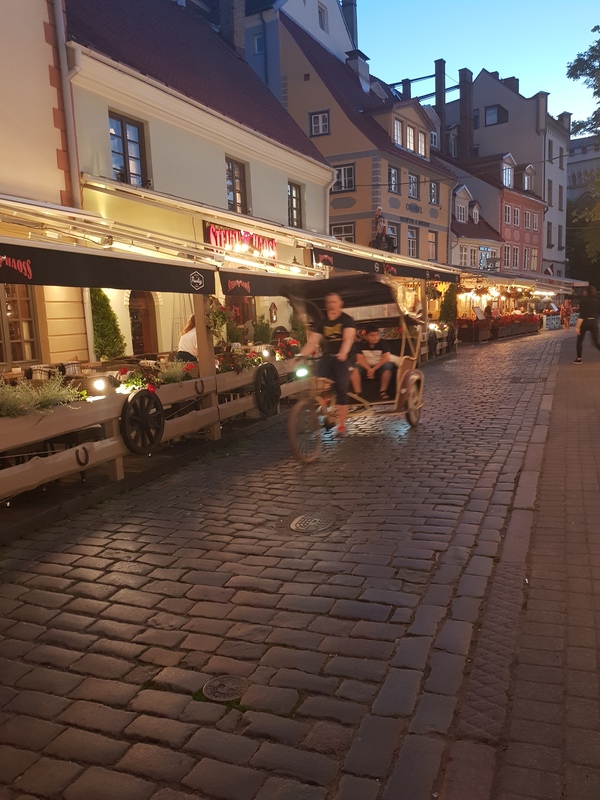 If you ate too much, a bicycle taxi driver will happily transport you to your hotel. Excuse my ignorance. I’m not sure who this statue is. 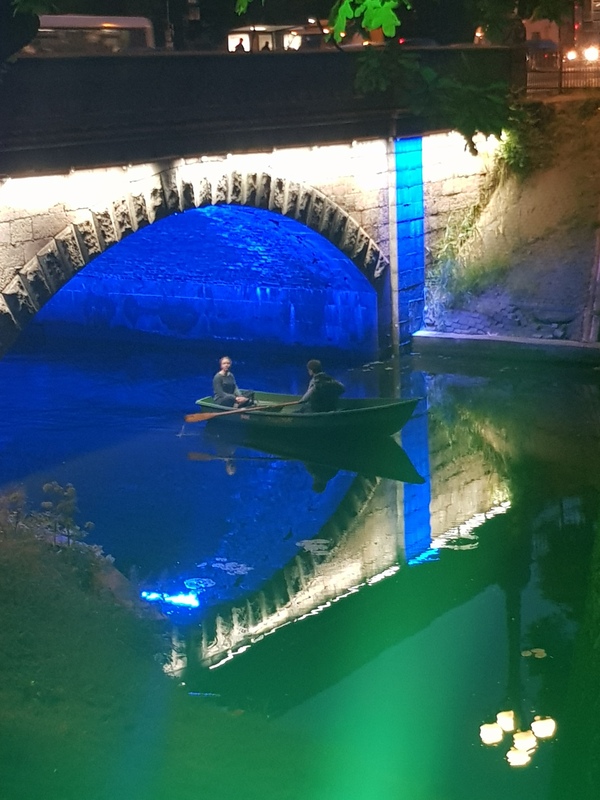 I was lucky to capture this shot of a guy giving his girlfriend a romantic boat ride experience. 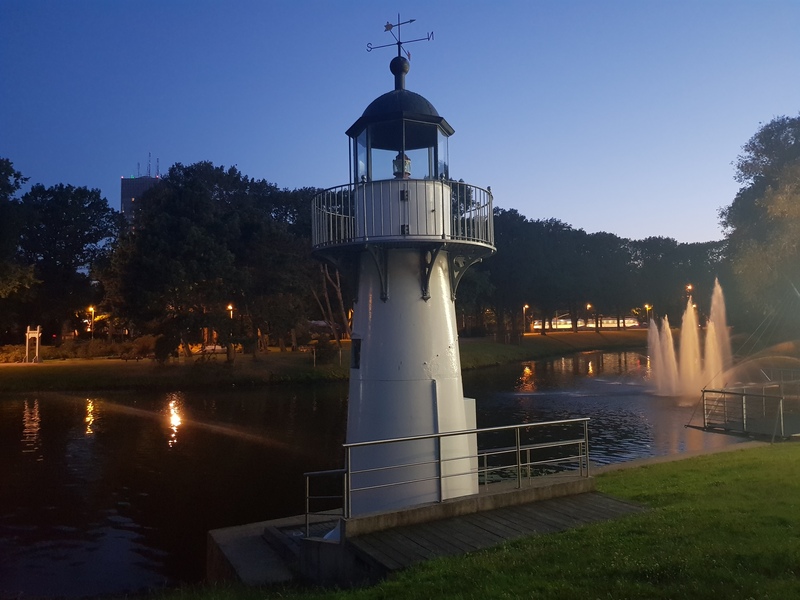 The canals light up in the evening. The colors change seamlessly between blue, green, red, yellow etc. I’ve never seen a flag this big. Compare it to the Radisson Blu hotel buildings right next to it. The flagpole must be close to 50 meters high. 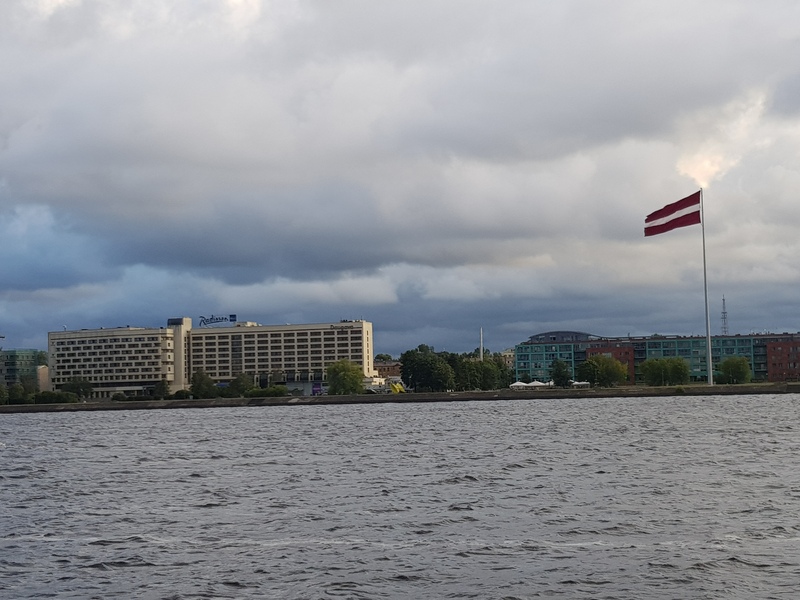 Did you know that Envestio, Mintos, Grupeer, Robocash, Crowdestor, Twino and Swaper all have offices in Riga? I will probably come back another time to visit all of them. Some people say I have a lot of numbers on my blog. For this reason, I tried a different approach this time and created a post with a lot of pictures and shared more details of my journey with you. If you liked it and would like future posts to be more like this, please hit the like button below! Are you here for the numbers or do you appreciate personal stories as well? Have you invested with Envestio? Do you have any questions or concerns? Please share your experience or thoughts on the platform below. As investors we are all equal, small or big, it doesn’t matter. Let’s unite and prosper from the combined intelligence of our community! Really cool post. Thank you for sharing all this information about Envestio, living in the south of Europe it would be hard to make this trip so your perspective and experience is very important! You’re welcome Sérgio. Thank you for the feedback, I really appreciate it! Living in the true West of Europe. 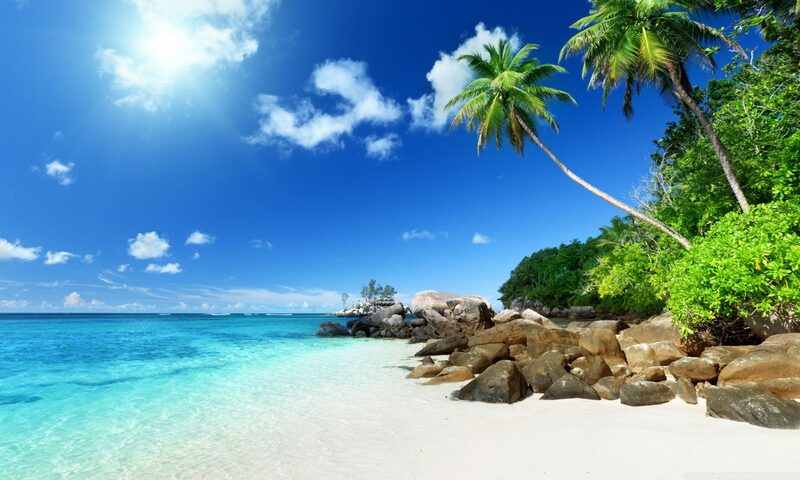 Money on the way to you – I just joined via your referal link. And to you! Thanks a lot buddy. Great post. I will look at the Envestio site. Thanks for the referral link. Thank you Ash. I’m glad you liked it. Good stuff – as a “thank you” I’ll register with your code! Thanks Vitor. I wish you all the best with your investments! Hey Jorgen, thanks for the review. I really liked it! By the Way: i think Crowdestor also has an office in Riga, but i am not completely sure about this. You are right about Crowdestor having an office in Riga. I just wrote to Gunars Udris and he confirmed. Good observation! Thank you for link & blog. Thank you Borut. I truly appreciate your support! Thanks for the deep research. Somehow I came across your blog recently and immediately started following you. I like the way you presented the Envestio. In fact, I also read your Crowdestate post. I signed up for both platforms and have started using/testing them. Looking forward to more interesting stuff from you! Thank you so much for the kind words. Comments like yours is what keeps me motivated to spend countless hours on writing new blog posts. I will do my best to provide interesting content to all of you. Do you know is it possible to invest in Envestio as a company? I didn’t find that option in Envestio registering page. How do you invest in crowfunding sites, as private investor or as company? So it’s definitely in the cards, but I don’t know if it’s possible yet. If you want to start investing as a company just drop him an email. I’m investing as a private person. Maybe I will switch to a company later on. Ps. The statue is Alexander Pushkin. The Russian author. Pleasure is mine! Feel free to look around and don’t hesitate to ask if you have any questions. Thanks for enlightening me. In a way it makes me feel less stupid. I have not read any books by Russian authors. Maybe I should! Thank you dirk. Too many rumors and opinions on the internet. Much better to go directly to the source and find out for yourself right? That’s for sure. It’s always better to have a look for yourself. Have you tried to withdraw money from Envestio? I did not readily find any info on their website (e.g. processing time/potential fees). I have not tried to withdraw money yet but I’m not concerned about it. For whatever it’s worth, I have tried to use the buyback guarantee (sell an investment) and receive 95% of my principal back into my account. That worked like a charm. There are no fees for investors on Envestio and I guess the processing time will be 2-3 days like all other P2P platforms. To tail this question as it has come up more than once does this mean there is no way as of yet to get 100 percent of principal paid back at the end of say a year or however long i decide to invest? Well, you get 100% of your money back when the project maturity date has been reached (unless the borrower defaults, then you get at least 90%). Most projects have less than 12 months duration. I think Envestio will introduce a secondary market at some point, but right now you should only invest in short duration projects, if you would like to withdraw your money in the near future. When will you post the second part of the review of Envestio? I’m looking forward to read it! Thanks for sharing your concerns. It’s good to do some research to ensure everything is like it should be. Is it a problem that Dagre only has 1 employee, if the company relies on one advanced machine to extract the precious metals from the equipment? I don’t think so. 20-21% interest doesn’t look strange if you understand how bridge financing works. @Eduard – I checked the VAT numbers and history of the companies – so far all seems legit. Some of the companies operate since 1996 or 2008, others are at least 3-4 years old. Really good Job Jorgen !! I have been using Envestio for about 2 months now. Interest are coming and all looks good. My question is have you tried to get your money transferred back to your bank account? Is there any fees? Asbjorn asked the same question last month. See my answer from 06/09/2018 AT 14:15	(or press CTRL + F and search this page for “buyback”). I don’t mean buyback. I mean getting your money back from Envestio site to your bank account. I’ve started to receive my first interest payments from Envestio, and I must say that this is by far the most promising platform that I’ve tried. I really like that you get a monthly payout, which will allow me to re-invest my interests every month. Do you know of similar platforms (that payout the interests on a monthly basis)? I like the real estate projects, so I’m looking for a site that can rival envestio, both in terms of interest rate and in amount of projects. I couldn’t agree more. Monthly interest payments and high interest rates and buyback guarantee ticks all the right boxes for me. Crowdestor is the closest rival I can think of. They haven’t released as many projects though. And there is no buyback guarantee. Crowdestate is another good option, they have several projects released every month. The interest rates used to be high, but lately, most projects give around 11%. No buyback guarantee here, but very high success rate. Grupeer is a great option as well. Several business and real estate projects are released every month. Interest rates up to 15% and you get a full buyback guarantee on the platform. I understand. I don’t mind though, when the interest rate is the same and there’s buyback guarantee, I’m okay with both options. Signed up through your link and made 2 nice investments. 🙂 I do have 1 question though: why is their office and most of the projecst located in Latvia, but is the company from Estonia? 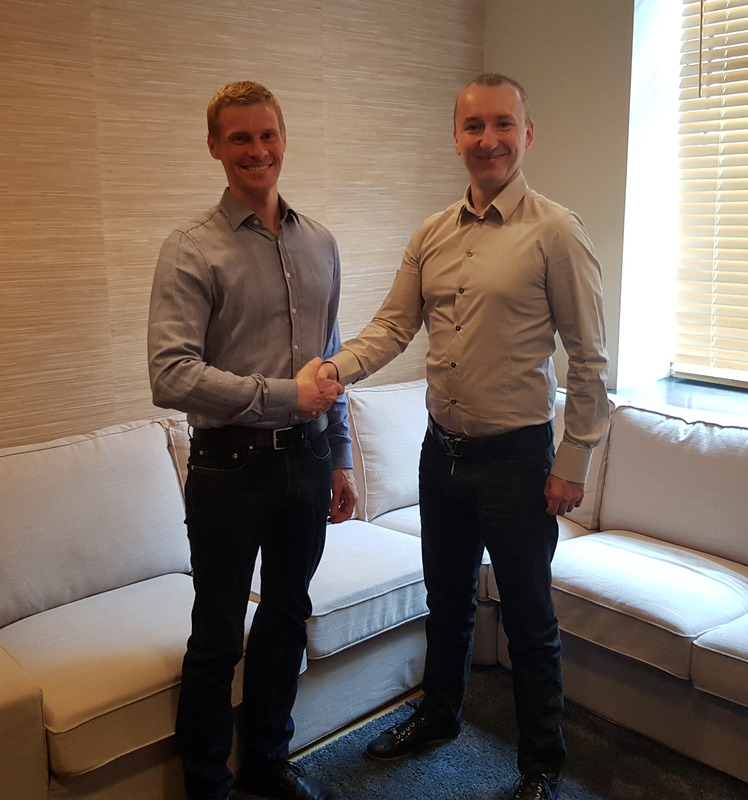 Hi Jorgen, thanks to you I have an Envestio investor and was wondering about the so-called new investments that appear in the platform. For instance, this “Fruits wholesale – factoring 6” is from the same borrower (SIA MERKURS-RIGANTE) as the “”Fruits wholesale – factoring 5”; the same happens with projects from “SRR JSC” – Renewal of freight containers – Tier N.
– the second case is similar but the loans actually overlay: Tier 8 is 100k and started Nov 7th and Tier 9 is 90k and started 14th Nov, so actually 190k of loan amount! This seems strange from a risk management perspective and not very reassuring for the investor, shouldn’t the new projects come from different companies? And what about the same company with 2 active loans? What are your thoughts on these issues? I agree to your point and for me I do not invest in the other tiers. With the effect that there are a poor amount of really new investments, sadly! Envestio creates several Tiers because the borrower needs 500.000€ for example. They know this from the beginning, but it can take time to raise a big amount, especially if the borrower has no previous repayment history. That’s why they create smaller Tiers and start with lower amounts. This way the borrower get some capital and can start working on the project. At the same time he proves to the investors that he pays back, so it’s easier to get the next Tiers funded. I wouldn’t call it an issue, it’s a common way to get funding from investors. Their buyback promise seems a bit strange to me. If they have cash to immediately buy back 95% of all investors’ investments at any time, why would they need to collect retail investors’ money in the first place… And if they don’t have such pile of cash, then they’re promising something that they won’t be able to deliver under a negative scenario (too many investors triggering buyback). Am I missing something? They currently have money to buy back 90% of defaulted projects. The possibility of all projects defaulting at the same time is very small, so maybe they don’t need all of it to safely give a guarantee? Remember, even though the buyback is similar for all projects at the moment, this could change for future projects. Hi. Unlike most platforms where only late loans are bought back, if I understand correctly Envestio undertakes to instantly buy back current ones. It’s not impossible to fathom a confidence crisis (with general industry or Envestio itself) with investors requesting buy back en masse (there is no state depositor protection). Like a ‘bank run’ on Envestio. I would believe it more if they guaranteed like 5-25% of the future loans. (But such buyback guarantee would be near to useless.) If they claim they’re “well capitalized” to guarantee 95% buybacks, it would be good to see it backed up with some specifics: Envestio capital vs. total outstanding loans. Perfectly audited? Envestio allows you to sell your investment back to them for 95% of the principal invested. I don’t think there will be any rush to do this. I think it is weird to pay 20+ percentages incentive on real estate loans. Why not to use regular banks and euribors not to mention longer time period for loan. They do use regular banks as well. However, sometimes more funds are needed for downpayment and other expenses related to the project. Try to google “bridge financing” or read more on Envestio’s FAQ. How long time did you guys wait from uploading your documents to getting them verified? I consider Envestio too risky to use them. That’s alright, we all have different risk profiles and we should only invest where we feel comfortable. I’m happy with my investment so far. I don’t see anything alarming in the links you provided? Yes, you are correct about risk profile, and before I invest I try to understand the basics from the company. – Envestio hasn’t provided any financial information -> no knowing how much loss they made on their first year and how much assets they have (left) -> no knowing if they have enough funds for withdrawal or will they have second year. (as a comparison Mintos reached profitability on third year and has published annual reports). – One of Envestio’s value is transparency which is in direct contradiction with bullet above. – Envestio has been late in tax filings -> This could be sign of lack of funds, or at least bad company management. – Three of Envestio’s CEO’s companies have missing annual statements or late tax payments -> This with bullet above gives rather negative image on management. If management is not able to file taxes and other paperwork in time, are able to make Envestio profitable? As Envestio hasn’t disclosed anything about their financial status investor can only guess where they are and where they are going. Guesswork, as you know, is not strong foundation for investment. I understand your concern about the lack of information regarding their financials. Envestio is not even a year old yet, so I guess that’s the main reason for the lack of financial statements. I expect reports from 2018 to be available medio 2019. If you email Eugene, I’m sure you’ll get a good answer. I’m reading your reviews from a while and I have already register in Mintos and Envestio with your referral. Envestio today! FastInvest and Grupeer are the next! I’m trying to start the same journey to independence. When I invest I turn off my imagination and look at facts. Whether it’s profitable or not to do crypto mining in 2019 is really none of my business 🙂 Envestio has done the due diligence and decided The Ostbin Group had enough assets to make the loan secure. I trust their decision. If The Ostbin Group happen to default, I’m still covered by the 90% buyback guarantee. The Ostbin Group already successfully paid back the last Crypto project called “Crypto-mining Farm 130GTX1080ti” where I was an investor as well. All interest and principal payments were on time. In addition, all interest payments on the Phi200 project has been paid on time as well. Money from other projects will never be used to cover losses in other projects. Envestio is just the middle man, connecting borrowers with investors. To use money from another project would be comparable to Coca Cola giving money to Nestlé if they had a bad year – It just doesn’t happen. first congratulations for the post and all information. I don’t have any particular strategy on Envestio other than trying to diversify between many different projects. The best way to get acquainted with a platform is to start with small amounts and see how it works out. You can always add more if you feel comfortable. One thing that makes me wonder is why these companies pay so much interest on Envestio, and why they don’t borrow from banks at a much more reasonable rate… It would be nice to talk to them as well and see their reasons for choosing Envestio. Try to start your own company and seek funding, then you’ll know the answer 🙂 It’s not easy for companies to borrow money in the banks.